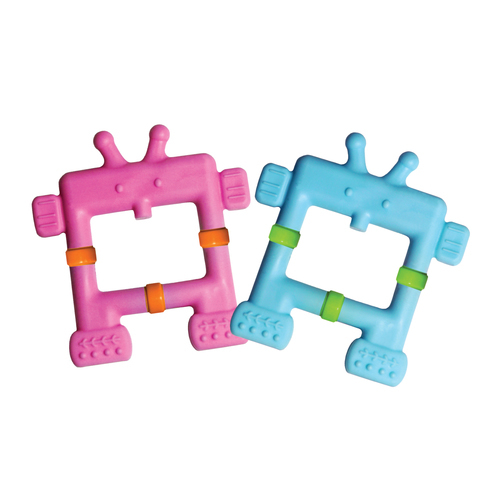 Innobaby's adorable robots are ideal for the tiniest teethers! Chewy design stimulates muscles of the lips, tongue, and cheeks to improve oral motor skills. Lightweight ez grip design allows babies to easily grasp teether and improve hand-eye coordination.